When I travel to various plein air events around the country I am not quite a tourist or a local. I feel connected to a place beyond what I would if I were sight-seeing and I am often afforded access to locations on private property that represent the fabric of a community. 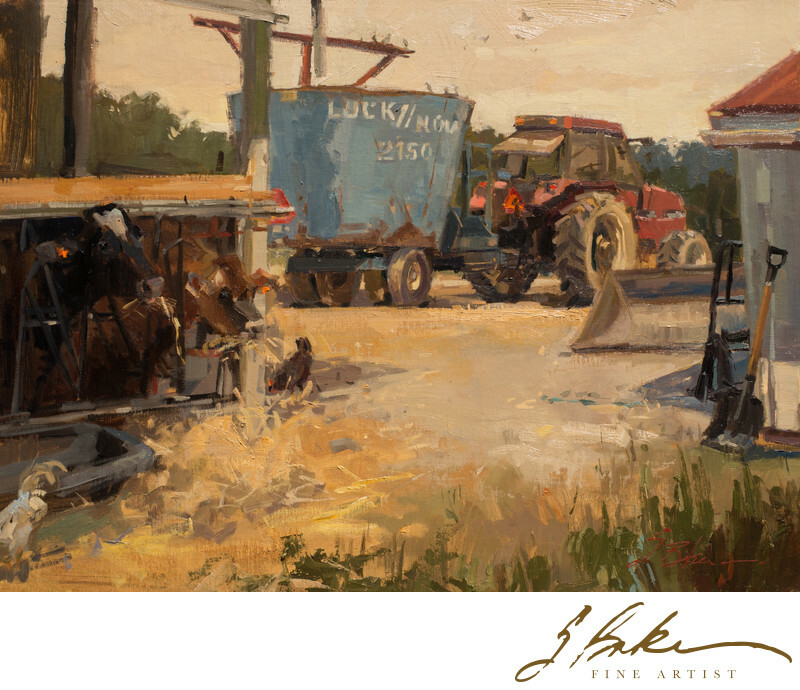 This painting, for example, is from a dairy farm in Cordova, Maryland and was painted during Plein Air Easton. Because of its size, I had to visit the location a few times to finish the painting. Abiding in one spot for so many hours makes me feel connected to a location in a meditative way. I'm happy to report, this painting won the "Life on the Farm" award and was purchased, along with other paintings, by a group of non-profits who are building a collection to tour the sate and to celebrate Maryland's agricultural roots with a goal to eventually hang the paintings will hang in the MD State House.